If you have never heard of keratoconus, do not feel bad. Unless you have experienced it, it is likely that you haven’t heard of the term. The Austin Vision Center has been serving the greater Austin area for years, and our team can help you understand this condition and how it is treated. Keratoconus – also known as conical cornea – is a condition in which the cornea of the eye bulges outward in a cone-like shape. The cornea is a transparent tissue in the front of the eye responsible for controlling the amount of light that enters the eye and focusing it once it does. It is essential to the clarity of your vision that the cornea retains its naturally domed shape. Otherwise, your vision will be unable to adjust to changing light levels and be blurry. Keratoconus is completely treatable with a reliable diagnosis from our optometrist. Treatment options include external treatments as well as surgical interventions. Our doctors will be able to assess your condition and determine the best option for returning you to unobstructed vision. Medical journals refer to corneal reshaping as orthokeratology. It is a non-surgical procedure that uses specially designed contact lenses to gently reshape the cornea. These lenses are worn while sleeping to allow for clearer vision throughout the following day. This treatment lasts from one to four weeks, depending upon the severity of the keratoconus. Each course of corneal reshaping lasts roughly six months before needing to be repeated. 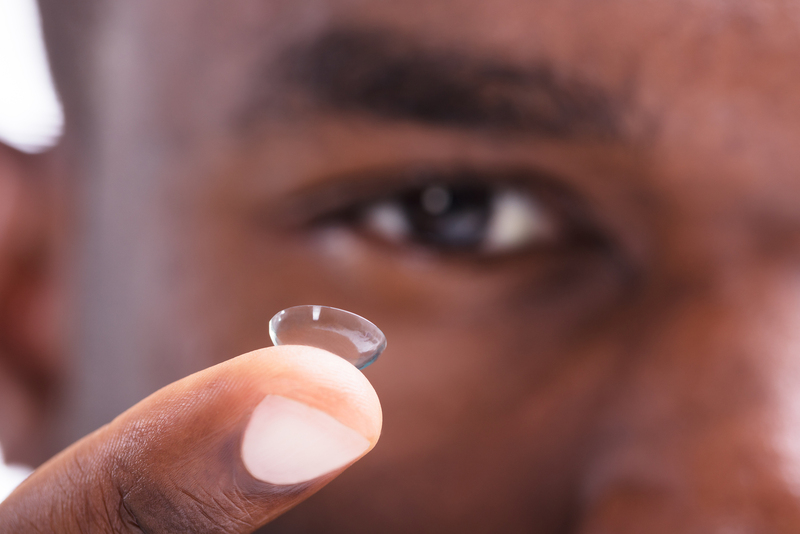 Scleral lenses are larger than average contacts and are another specially designed tool for correcting keratoconus. They work by resting on the whites of the eyes, spanning the entire surface of the cornea to provide a smooth optical surface which corrects the vision disturbances caused by keratoconus. Schedule an Appointment with Our Austin Optometrist Today! For more information on keratoconus and options for treatment, give our friendly, professional staff at Austin Vision Center a call at our Central Austin location (512-477-2282) or our West Austin location (512-258-2282), or schedule an appointment online today.